Australia is known for its wide and colourful variety of wildlife, and infamous for being home to many of the world’s deadliest creepy crawlies as well. Most spiders tend to keep themselves and not go looking for trouble, but it is not entirely uncommon that you may haphazardly bump into one when your not expecting to either. 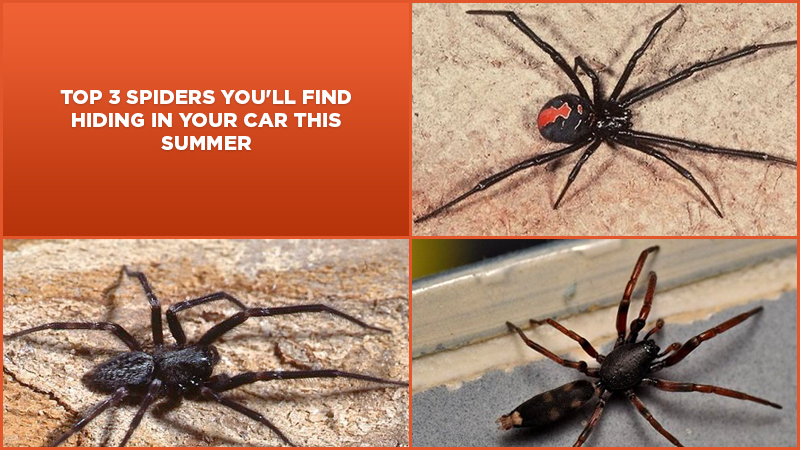 One often overlooked place to take special caution for spiders that let themselves into is your car. Some species of spiders for whatever reason seem to be attracted to interiors of cars, and it’s not uncommon that they will take up shop there. 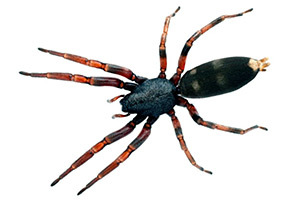 If a spider bite from a dangerous spider is not already bad enough, having to combat a full sized huntsman spider while flying down the freeway would certainly be worse. There are three spiders in particular that are known to do just such a thing and are therefore the guys to keep your eye out for. 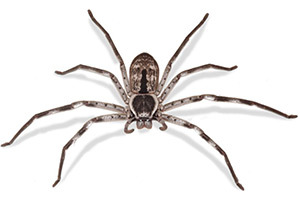 The Huntsman spider is relatively harmless. These guys are big and scary looking, but relatively harmless. They tend to live in the woods around trees and wood rich areas. They are not very regarded to be particularly aggressive spiders, though a female with eggs may get a bit testy if threatened. Their bites hurt but are not deadly. They don’t make webs (thankfully,) so at least the thought of them vaulting down from above right into your lap isn’t a concern, but it’s quite possible that one would give the steering wheel a sporadic jerk if suddenly one of these guys came jumping out of the glove compartment! 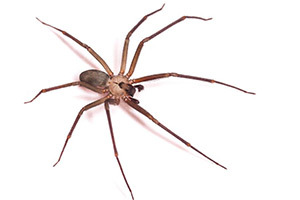 The Recluse spider is not very aggressive but is poisonous. The recluse spider is not as big or scary looking but in my opinion far scarier than the huntsman. They are known to have a highly toxic bite which can cause skin and muscle tissues to rot. In some cases, the bites can get bad enough require skin grafts or even the amputation of a limb. The female recluse is more dangerous than the male, but both should be avoided. The recluse spider seems to be just as its name implies; a recluse. It’s not very aggressive or in your face. They tend to stay hidden and out of sight in places like wood piles, though that also explains why the quiet safety of a car may appeal to them. Thankfully, encounters with this species of spider is not all that common, but when it does happen it is dangerous enough that they are something to watch out for above most other spiders. White Tail Spider bite can be very nasty. The white tail spider has a tail that is – you guessed it – white in colour. Like the huntsman, they are not web building creatures and prefer to hunt their prey fair and square. Unlike the other two species, it’s prey consists mostly of other spiders. If you can stand to have any spiders .around at all, one that eats other spiders and is not particularly dangerous would be a safe bet. Some say they have a bite like a recluse, but science has proven that a bite will hurt a bit, but nothing like what a recluse’s bite is packing. They are pretty common to Australia, so knowing what they are may be useful if one crawls onto your lap while cruising the fast lane, in that you’ll know that panicking in that situation is likely far more dangerous than the little critter is itself. It’s always good to be aware of your surroundings and what kind of life forms exist within it. Spiders have a bad wrap and have been known to be deadly, but truthfully an actual case of a spider bite being fatal is rare. It’s good not to go trampling through their territories, but if one happens to stroll through yours, he’s likely there just to look for food, not pick a fight with something that is a hundred times his size like people. Knowing that, you know that staying calm and making a point to keep them from feeling threatened is probably your best play regardless of what kind of spider you encounter in your car, so be aware and drive safe!